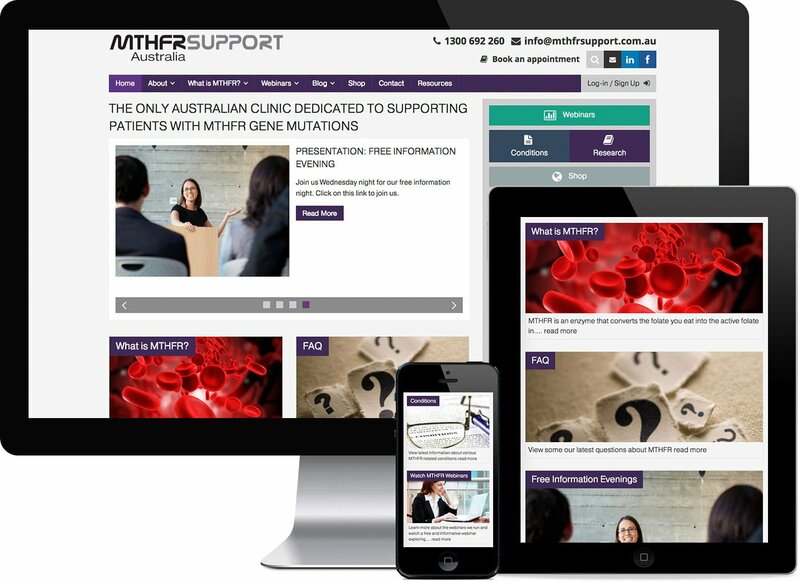 MTHFR Support Australia was created to provide support & raise awareness about MTHFR gene mutations & methylation. MTHFR Support Australia are experts in the field of MTHFR gene mutations. They needed to create an online presence that was functional, professional and stylish that promotes their services and expertise. We built a responsive WordPress website with an advanced members portal where doctors can log in and access papers and industry journals. The site also has an eCommerce component where the client sells videos and webinar series to both Doctors and the general public.